We want your short films! One of things we strive for are reviews of our films – be they positive or negative. Every constructive review we ever get we take on board. We learn from our mistakes and improve for our next project. So, as lovers of short films and lovers of reviews, we’ve decided to set up our own short film video reviews! Every couple of weeks, myself (Joe, hello) and Callum are going to review a bunch of short films. A guest reviewer might join us every now and then as well, for a bit of a fresh perspective. Now our reviews are going to be our honest opinions. If something doesn’t work then we’ll say it – but we won’t slag it. Hey that’s a good catchphrase right there. “Say it, don’t slag it!” We’ll say reasons why something works or doesn’t. We’ll praise the highlights and examine the lowlights. But we’ll do it in a friendly way – we know making a film is hard work and a labour of love. We know that everyone is learning and improving so hopefully our reviews will help you to grow as filmmakers. It’s also going to be great exposure for your film. We’ve currently got well over 10,000 followers on Twitter who we’ll pimp your film out to! 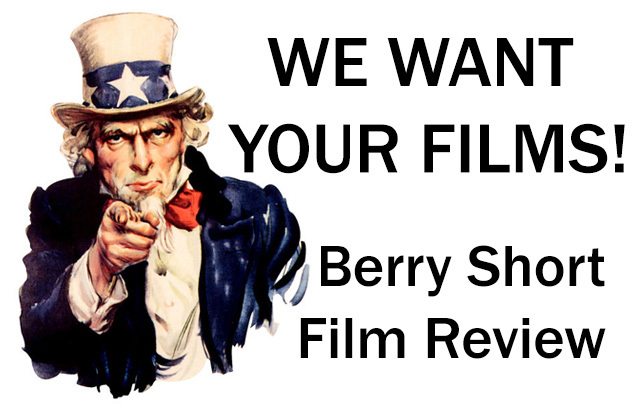 So if you’d like to get involved and have your film reviewed by us, please drop us an email berry_productions@yahoo.co.uk and send us a link to your film online, or a video file for us to watch. It would be great to get any stills, posters, trailers or video clips too, so we can use them in our video review. I’ll respond when I get your email and let you know when you could expect your review (will be determined by the amount we receive). Thanks for reading and we look forward to watching your amazing films! Posted on July 10, 2013, in Other and tagged film, film review, filmmaking, independent film, indie film, Movies, review, Short film, Twitter. Bookmark the permalink. Leave a comment.